Loved this place! We only had two days here but what a nice place. Sites are large and most are well shaded. Spacing also nice as we did not feel boxed in by our neighbors. They have lots to do right there. ATV and car rentals. Even 'tho they are close to town, it seems like we were out in the sticks. We will be going back! This was the highlight of our 12 day 4,000 mile trip, Relaxing and private. The hosts were top notch and so helpful. The sites were spacious and easy to back in. I have a 34 foot trailer and it was a snap to get it backed in the first time. I felt like I had a puny trailer compared to all the big rigs. Quiet at night. Everything is close by; town, Crazy Horse and Mt Rushmore are easy to get to. They have fire rings which some campgrounds prohibit. They sell firewood on site. We will definitely go back in the future. First the good: The RV spots are all very spacious, with plenty of quiet and beautiful views. Now the not so good: Beware of the 'changing price policies' that apparently is the practice. We booked for a full week, as the website say's that the 7th night is free, and will be credited at checkin. There is a listed date range that this offer is shown as not available, but we were 'well outside' of the dates listed. When we requested our 7th night credit at check-in, however, we were told that our dates were not included for that deal. When we showed them the exact verbage showing the dates excluded on the website, they said that "all terms and rates are subject to change", even though we'd already paid in full at booking. My opinion is that once the reservation is made and PAID IN ADVANCE, the terms should NOT be able to be changed just arbitrarily because they feel like making more money. That's like agreeing and paying for a new car, only to be told you owe another thousand dollars when you go to pick it up. Will not return just for that reason. This is a nice campground, well-run, VERY SPACIOUS. Big rigs must love this place. It is VERY close to Custer State Park - and you can see deer running in the meadow in the evening from the campground. Nice bathhouse. Offers coffee in the morning. Even though not a lot of shade, the space makes up for it. Very nice people for hosts. This is our second trip to this campground. We love the fact that all the RVs are not stacked close and tight to on another. It's very quiet and peaceful, no highway noise! The wifi isn't the best, but then I didn't come here for wifi. The park was close by to Custer State Park and the sites were roomy. The laundry was centrally located in the park and near the office. The location was far enough from the highway that noise was not a problem. The staff was friendly and helpful. The RV park is just outside of Custer State Park and close to Mount Rushmore. The RV park is very quiet as it is about 1/4 of a mile off the main road. 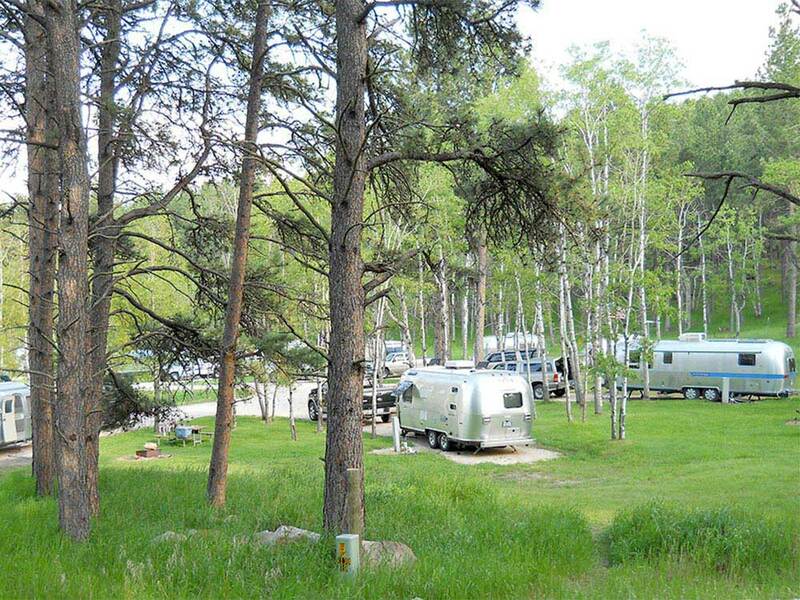 It is a very well maintained campground. The campground itself is very nice. We had a back in site that was level and large enough for our motor home and toad. It was very quiet and WiFi coverage was excellent. The restrooms were clean. However, I had issues with the management. I was not able to receive a paper receipt and had to opt for an email. When I finally received the receipt I found it to be higher than what I thought I had signed for. It was not an itemized receipt, just a receipt for the total amount. I went to the office to find out what the individual charges were. When I asked the person in charge for an explanation he became very defensive and rude. I also asked why I wasn't given the Good Sam discount and he said it was because I didn't ask for it and refused to give it to me. After many interruptions by management, I was finally able to finish a sentence and state my concerns. A different manager re-figured my bill and found that I had been charged for an extra day. She issued me a credit for the extra day but did NOT give me any Good Sam discount. We were there for five days. Al in all Custers Gulch is a very nice campground, but the management need to work on their people skills. This was the first Good Sam park I have ever been to that did not ask if I belonged to Good Sam and I told them so. If you decide to stay there, be sure to ask for your discount or you won't get it.